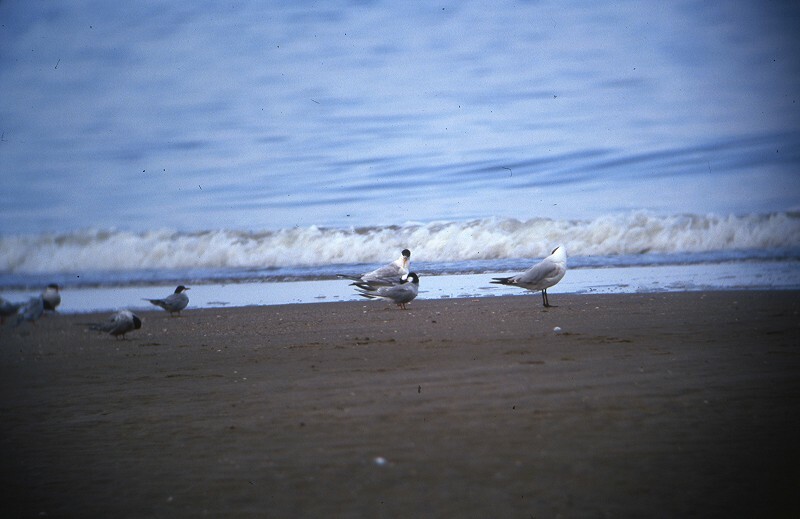 9 June, Wassenaarse Slag, Wassenaar, Zuid-Holland, and 10 June, De Putten, Camperduin, Bergen, Noord-Holland, summer plumage, photographed (@ see main text). 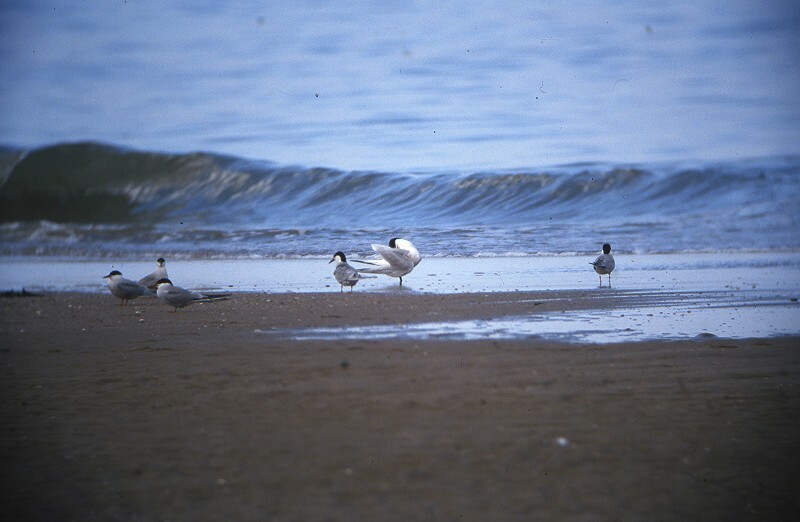 The 'orange-billed tern' observed and photographed at Wassenaarse Slag, Zuid-Holland, on 9 June 2002 and at Camperduin, Noord-Holland, on 10 June 2002 (cf den Outer et al 2002; Dutch Birding 24: 257, plate 228-229, 258, plate 230, 2002) has not been accepted because it did not (seem to) show the full set of 'classic' Elegant Tern characters. 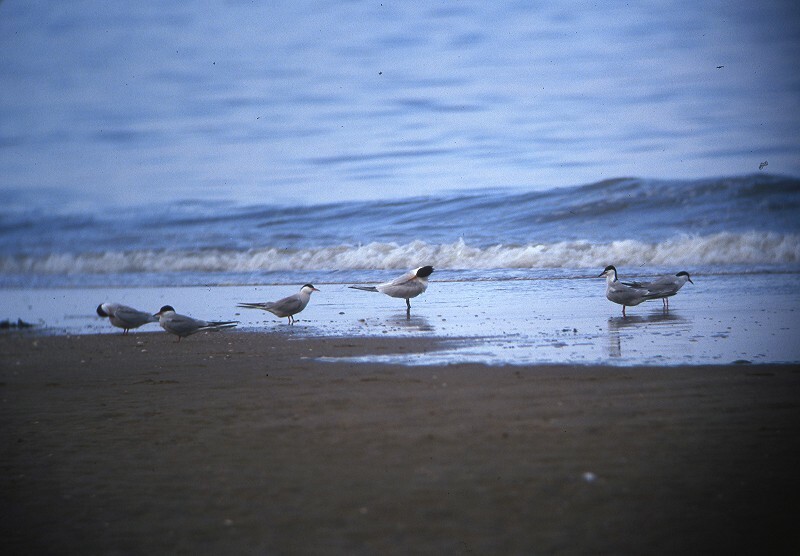 Further research into the identity of 'orange-billed terns' showing characters of Elegant Tern in Europe may possibly induce recirculation in the future [Annual Report 2004]. At the time, this record was considered not accepted. 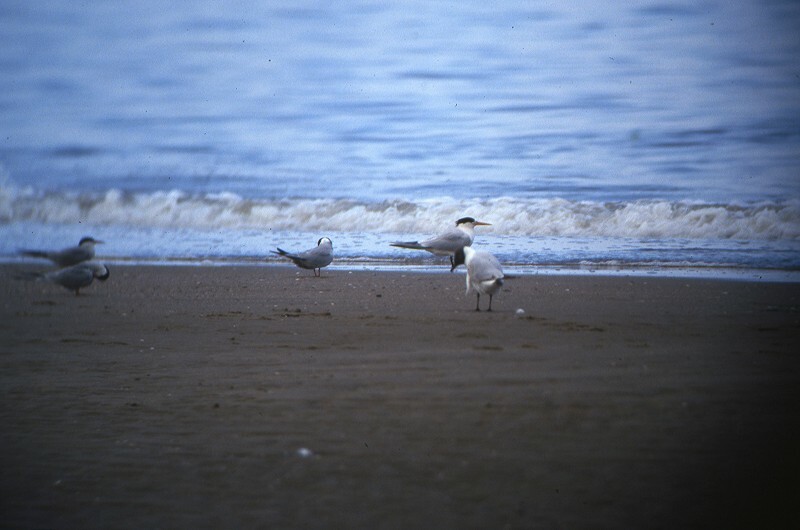 In the eyes of many, this was not a classic Elegant Tern, and since interbreeding between Elegant and Sandwich Tern S sandvicensis was known to occur in Europe, a hybrid Sandwich Tern x ‘orange-billed tern’ seemed to be a realistic option. However, genetic work by Dufour et al (2017) showed that three Elegants sampled in France and Spain were all pure birds. One of the birds was actually quite similar to the Dutch bird (that was seen in Norfolk, England, two weeks later) (Laurent Raty in litt, Paul French in litt) – it could even be the same individual. Furthermore, two hybrid fledglings showed (largely) Sandwich-like black bills (Dufour et al 2017), so with current knowledge we know: 1 that the phenotype of the Dutch bird fits within the variation of the species; and 2 that currently known hybrids do not fully resemble Elegant. 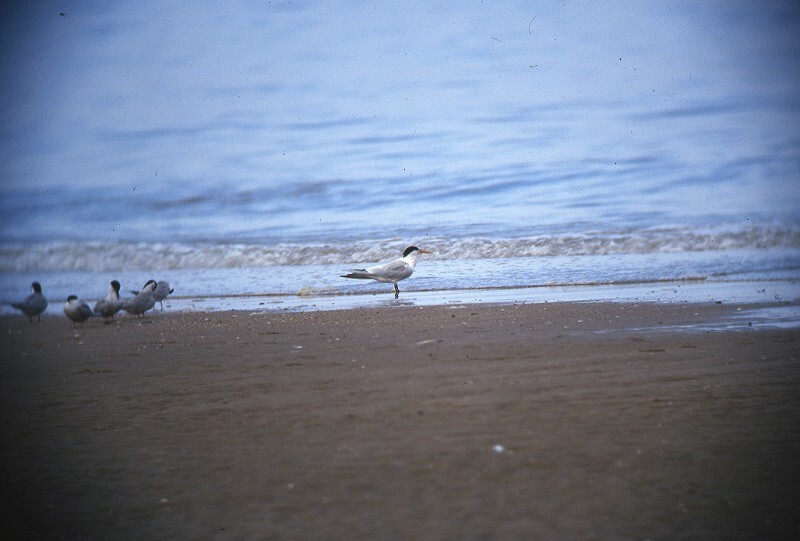 The single photograph of an ‘orange-billed tern’ at Mokbaai, Texel, Noord-Holland, on 16 July 2006 and initially regarded as a potential Elegant (van den Berg & Haas 2006) does not show enough details for identification. In fact, the fairly heavy bill does not seem to fit Elegant (and possibly fits one of the royal terns S maxima/albididorsalis better) [Annual Report 2017].